Citing both theory and case law, this book focuses on the political dynamics involved in contemporary international law. It describes the importance of international law from the perspective of the rights of states, reciprocity among governments, and collaborative efforts to achieve stability and peace. And, by interweaving traditional subjects (e.g., statehood and sovereignty) with discussions of contemporary topics (e.g., human rights and the law of the sea), it reveals the emerging transition to a new style of international politics--an interdependent international system based on law and organization. Law of Nations. Law and the International System. International Law within the State. 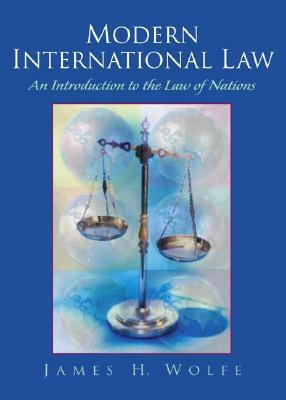 Subjects of International Law. Recognition of States and Governments. State Responsibility. Human Rights. Citizenship. Jurisdiction. Dispute Resolution. Territory. Law of the Sea. International Agreements. Diplomacy. Prospects. For those interested in the political aspects of international law.